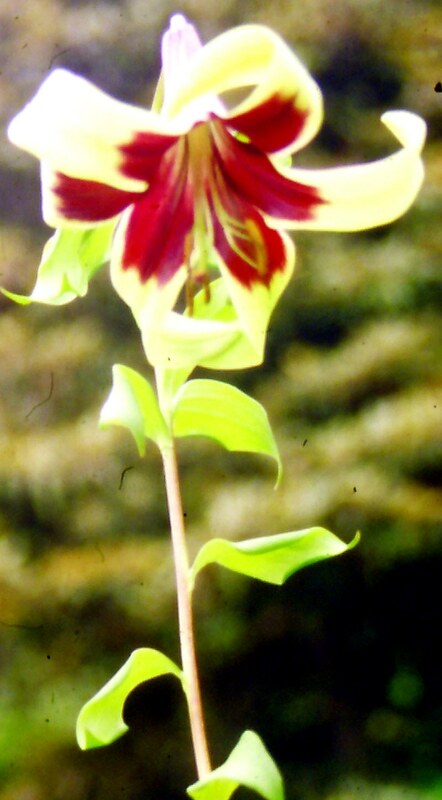 Lilium nepalense D. Don, ; Mem. Werner. Nat. Hist. Soc. 3: 412 (1821). West: PSW 2429. Cent. : Wallich s.n. (type of L. nepalense); SSW 3272. East: Williams 1126; TI 6304153 (fr.). 2300-3400 m; Himalaya (Kumaun to NEFA).